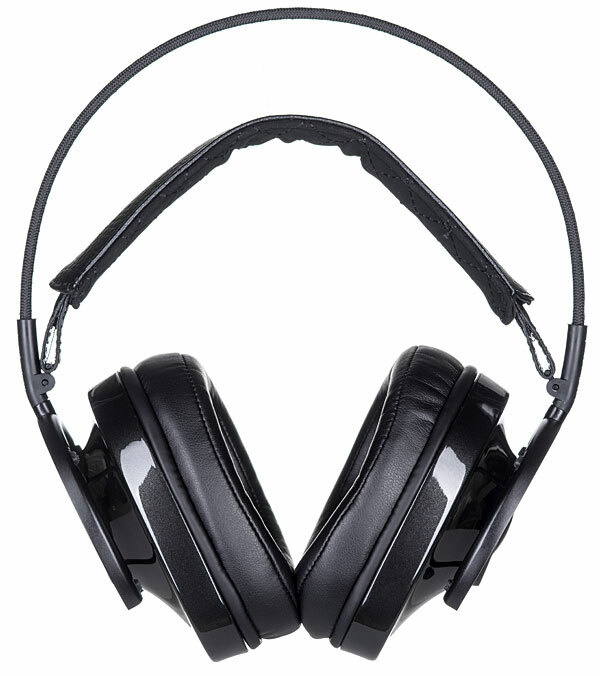 A direct descendant of AudioQuest's award-winning NightHawk headphone, the closed-back NightOwl Carbon replaces its predecessor's biomimetic sound-diffusing grille with an intelligently designed aperiodic damping system for excellent isolation of external noise, ensuring privacy for the listener and those nearby. 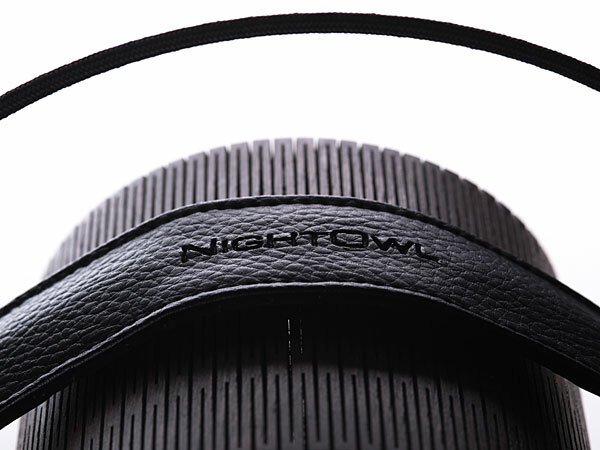 NightOwl ships with two sets of earpadsProtein Leather Boost Pads for slightly enhanced treble clarity and Ultrasuede pads for slightly reduced bass impactand includes a high-performance, non-microphonic cable with discrete mic/smartphone controls that enable phone calls and playback functions (Play, Pause, Skip) without compromising sound quality. NightOwl's distinct packaging is actually an attractive travel case made of genuine leather, featuring a thickly padded internal compartment and accommodations for various headphone accessories. With NightOwl, AudioQuest hopes headphone enthusiasts will feel inspired to listen longer, later, and with greater pleasure, enjoying unsurpassed comfort and deep immersion in music, videos, and games. DragonFly Black. My Sennheisers need some competition. I think those would fit my head nicely, and fill it with beautiful music. Would look nice next to my grados! I have a head. I could really use these! Have to admit, these would be nice. How are the previous versions? Has anyone heard, or used, any of the predecessor versions of these headphones? Thanks for the opportunity at a chance to win this. Good luck all. Hey, I'm a Night Owl! I'm up all hours of the night playing music through my speakers. I need some headphones. I would appreciate them very much. My neighbors would appreciate me having them very, very much. Thanks! If I keep entering, maybe this time. I guess I'll join too. I love headphones and would love to have a pair of these!! I use headphones, these are made to be used.... perfect match. I'll be a happy camper! I too would like some new headphones. Pick me pick me! My old phones have died. I would love these. I did a demo once with the original version and really liked them. Hope These Come My Way! to replace my aging Grado 'phones. I do need a pair! Interesting about the two different earpads. Is this common in high end cans these days? My big ol head needs some kicking headphones. Please sign me up for the headphone drawing Michael. Thank you. I hope I win. My wife is unhappy with the miniscusle signal she can hear from my open back headphones. I NEED THESE TO SAVE MY MARRIAGE..Give a guy a break and pick me out of the hat! They sounded really nice when I tried them. ...maybe the NightOwl Carbon will take me to a higher level. I'm game!!! These will fit. Love to have em. Looks great. Good luck to all! These are about the coolest looking headphones I've ever seen! They'll do for the entire night! Pls send by FEDEX. Thanks. And be a U.S resident !! What have you got against us guys in the rest of the world Mikey ? Really interested in a closed can. Looking at the oppo pm-3. Currently own QC-25 and need an upgrade. Let me know if you have any recommendations, people. $400 budget. Using with Dragonfly black, but the dac/amp will likely be upgraded to who knows what in the future. I hope they sound as nice as they look! Love 'em. Would love to wear these all day work. Please include me- dreamed of these. So I hope to win these and keep on rocking. Thanks! Would Love a New Pair of Cans. Pick me please. Love Audioquest products! I love their cables, would love to try out their headphones. Would be nice to have a set of these! Gimme dat! :D Great contest BTW. Thanks! I will only listen to vinyl with these beautiful things. Sensitive ears would thank you! Great to see AQ's line of headphones expanding and responding to critical feeback. I could really use these. My old phones are showing their age. I need some new cans! But I'd certainly like to be. They are a modern design. They will be mine. Oh yes, they will be mine! Wow, it looks good. I bet it will sound even better!!! I would love to win these. Who wouldn't? I would to own these.